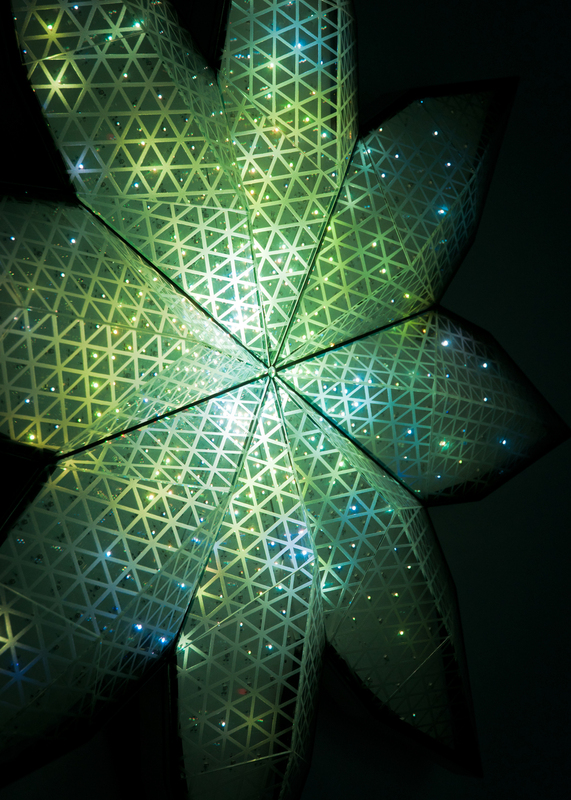 Waking Life examines how diffusion materials have been widely used in architecture. 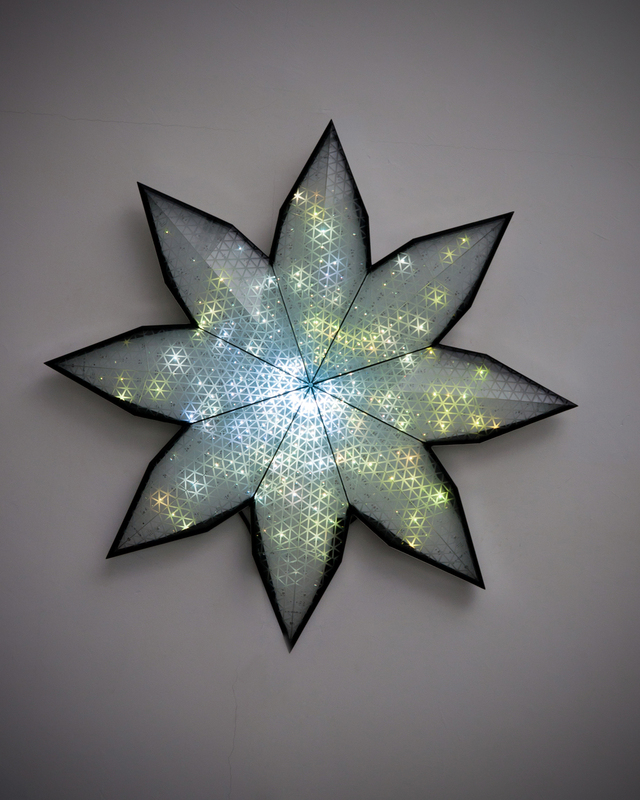 This art piece is made with geometric volumetric glass construction that diffuse light with triangular etched patterns, seeking to create more mesmerizing effects with natural and artificial lights. 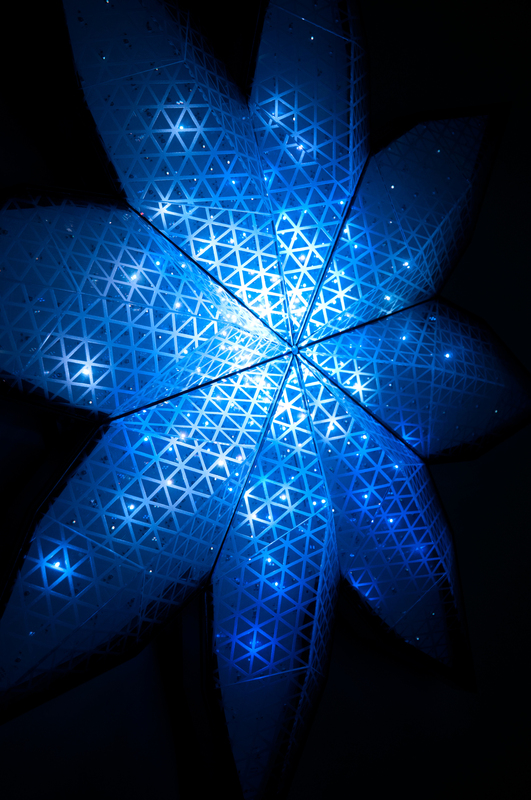 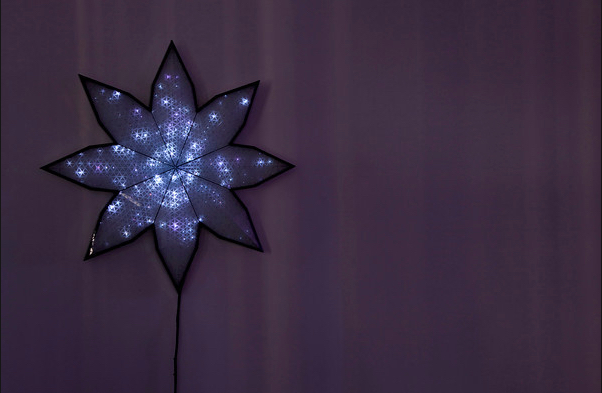 A regenerative light sequence provides lively and energetic motion on the sculpture, representing an innate force of nature that proliferates into digital infinity.